Start drinking the refreshing rum drink as early as 11:30 a.m. Traditionally, a mojito is a cocktail that consists of five ingredients: white rum, sugar, lime juice, soda water and mint. Is there anything more refreshing than sipping on an ice-cold mojito on a hot summer day? The cocktail, traditionally made with white rum, cane sugar, lime juice, soda and mint, even has its own holiday in July. On National Mojito Day (July 11), you can celebrate at Cuba Libre Restaurant & Rum Bar, where the summertime drink will be $5 all day. To get the deal, make sure to order a classic mojito at the bar/lounge area of the restaurant. 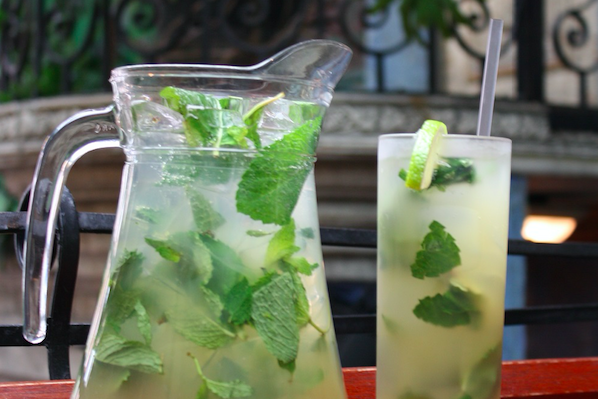 Cuba Libre in Philadelphia's Old City and New Jersey's Atlantic City will open at 11:30 a.m. on National Mojito Day.